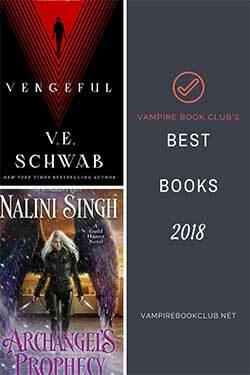 We’ve been fans of Chloe Neill’s books since the start of Vampire Book Club more than six years ago. Back then we fell for Merit and the Chicagoland Vampires series. With the release of The Veil today, we get to fall for a whole new world with plenty of New Orleans charm and another heroine we want to be friends with. Her name is Claire and she’s the main character of The Veil, the first in Neill’s new Devil’s Isle series. Our review of the book will be coming soon, but we wanted you to get a taste of the book today. We have an exclusive excerpt from The Veil just for VBC readers, and below that you’ll find a giveaway of a bunch of sweet The Veil and Chicagoland Vampires swag. Cold sweat began to slide down my back as my gaze snapped between the front door—the figures moving outside—and the back. He was bigger than I was, but I had magic, and enough time might have passed that I could use it again without hurting myself. He must have guessed my plan. “Don’t even think about it,” he said, lifting his shirt enough to show muscled abs and the gun belted at his waist. It was the same model carried by Containment agents, and I hoped I hadn’t made a huge mistake. He cast a glance behind me at the store windows, at the bobbing flashlights that signaled Containment’s arrival. I’m Isle-bound/and there I’ll stay/wear the devil’s crown/till the end of days. That was how the song went. And if I wasn’t careful, it would become autobiographical. And how was I going to do that? Gunnar, I thought queasily. I’d have to ask Gunnar to do it, to get into Containment’s video system and delete the evidence. Pick up The Veil at The Book Depository or Amazon today. One lucky VBC reader will score some stellar swag from Chloe Neill including a tote bag, pens, bookmarks, and more. The excerpt made me even more excited to read The Veil! Thanks for the giveaway! So excited for the new series between this book and Magic Shifts I need today to be a national reading holiday. I’ve been looking forward to this book since I first heard of it. The new series looks really intriguing! Can’t wait to read The Veil! Love Chloe’s books! yes – I’ve been waiting for this book to come out for several months! Aaaaaaah oh my gosh!!! I LOVE Chloe Neill!!!! SO EXCITED!!!! Did I mention I’m so excited?!?!?!?!?!?! She’s my fave author!!!!!!!!!!!!!!! I can’t wait to try her new series! This new series is looking really good! Isn’t that the best? Nothing like having a great book waiting for you. This sounds like a nice change of pace. New Orleans is always a fun book destination. Love Chloe Neill! Will start this book once I’ve finished reading Dragonbane. What fun! Excited about this new series! 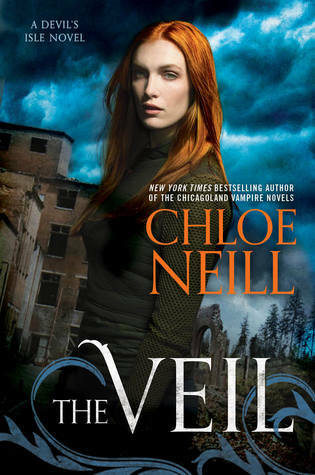 Since I love Chloe’s Chicagoland Vampire series, I am really excited about The Veil. Thanks for sharing the great excerpt. So excited for The Veil! I just found Chloe Neill this year and I’ve been devouring the Chicagoland Vampires. Excited to read more of her work! I think this looks and sounds awesome! Congrats to Ms. Neill on the new release! Thanks for sharing! Enjoyed the excerpt. Looking forward to reading the whole book! I am very excited!! Great excerpt and beautiful cover!!! Finally, the day has come! Congrats on release day. Cannot wait to read this one! Chloe Neill is one of my auto-buy authors!! I’ve had this on pre-order since it was available. Between this and the other excerpts I’ve read, this sounds like a great new series, can’t wait to try it! Heck Yes! I love Chloe’s CV series so I am really looking forward to this new one! A great series — I’ve fallen behind! Definitely looking forward to the release! Very excited about this new series!! I’m a big Chloe Neill fan! Can’t wait to read more! I love Chloe’s Chicagoland Vampires series so I am all over this one! I’ve heard great things and I’m excited to meet Claire & Liam! I am pretty excited, but I wonder when I’ll get to read this book! 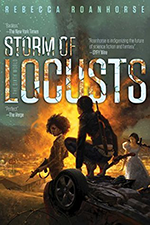 I’m excited to read new characters from Chloe Neill and see their development and story progression. WOULD LOVE TO READ THIS BOOK SINCE IT IS BASED IN ONE OF MY FAV CITIES OF NOLA! GOOD LUCK WITH YOUR BOOK AND THANKS FOR THE GIVEAWAY! I’m a huge fan of Chloe’s Chicagoland Vampires series. So if The Veil is anywhere near as good as the CV series…I’m game!